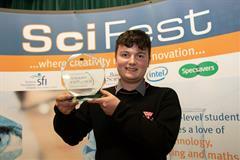 Adam Kelly from Skerries Community College, Co. Dublin was named the overall winner of SciFest 2018 at the National Final last November. This was to be just the beginning of a very successful school year for Adam. 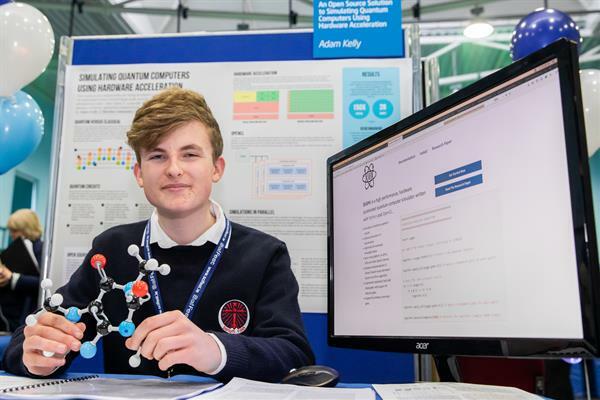 Yesterday, to add to his success at SciFest 2018, he was named the overall winner of the BT Young Scientist and Technology Exhibition (BTYSTE) 2019 for his project entitled 'Optimising the Simulation of General Quantum Circuits'. Adam has a busy year ahead. As a result of his SciFest award Adam will represent Ireland at the Intel International Science and Engineering Fair (ISEF) in Phoenix, Arizona in May. 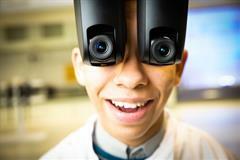 Intel ISEF is the world’s largest international pre-college science competition. Each year, approximately 1,800 high school students from more than 75 countries, regions, and territories showcase their independent research at Intel ISEF and compete for an average $4 million in prizes. 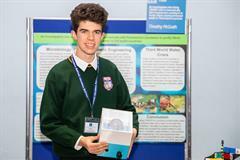 As the overall winner of the BTYSTE, Adam will go forward to represent Ireland at the 31stEU Contest for Young Scientists (EUCYS) in Bulgaria in September. Adam’s project for SciFest was entitled ‘An Open Source Solution to Simulating Quantum Computers Using Hardware Acceleration’. 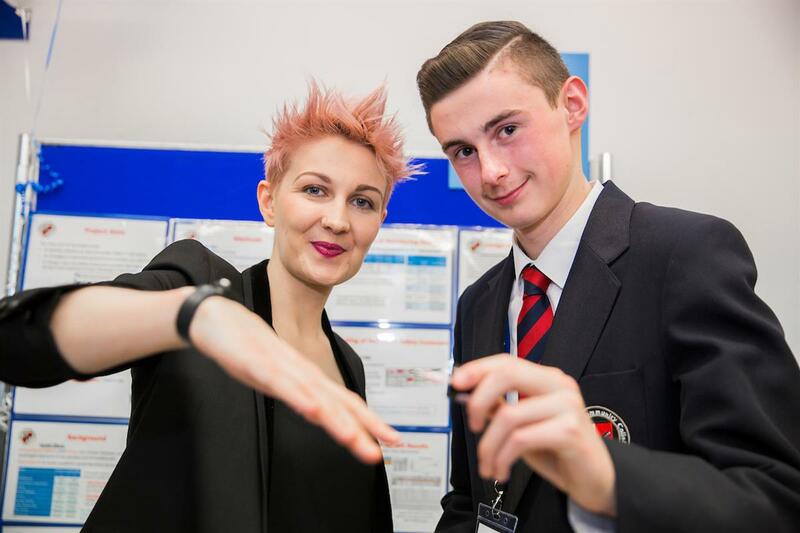 More than 10,000 students competed in SciFest 2018 and winning the SFI Best Project Award at the regional SciFest@College STEM fair in the Institute of Technology Blanchardstown in May qualified Adam to compete at the National Final. Many congratulations to Adam and we wish him every success at Intel ISEF, EUCYS and in the future. Well done to all the students who each year enter SciFest or BTYSTE, and sometimes even both competitions with completely new projects or continuation projects. Examples of such creative and industrious students include Timothy McGrath from Killorglin Community College, Co Kerry who has been successful time and again over the years at SciFest, BTYSTE and Sentinus Young Innovators. In November he was a finalist at the SciFest 2018 National Final with his project, ‘An Investigation into Using CRISPR-Cas9 to Genomically Edit Paramecium caudatum to Purify Vibrio cholerae Infected Water in Third World Countries’ and yesterday at the BTYSTE 2019 Timothy won a third place category award for his project ‘A systematic study into using halophyte species to develop a nutrient treatment biofilter to combat oceanic deadzones’. Sean Byrne from Avondale Community College in Wicklow is another example of a multiple award winner. On two occasions he was a finalist in SciFest and in 2016 he was awarded the THEA Award at the National Final for his project ‘The Ugly Side of Beauty: An Investigation into Toxic Chemicals used in Cosmetics’. Sean was awarded the Science for Development Award for his project ‘An Eggshell Filtration System to Remove Pollutants from Water’ at the BTYSTE 2019. Congratulations also to St Andrew’s College, Booterstown, Co Dublin which was awarded the NAPD Best School in the Republic of Ireland Award at the BTYSTE 2019. In November St Andrew’s College was the first school to be presented with a SciFest STEM School Award. 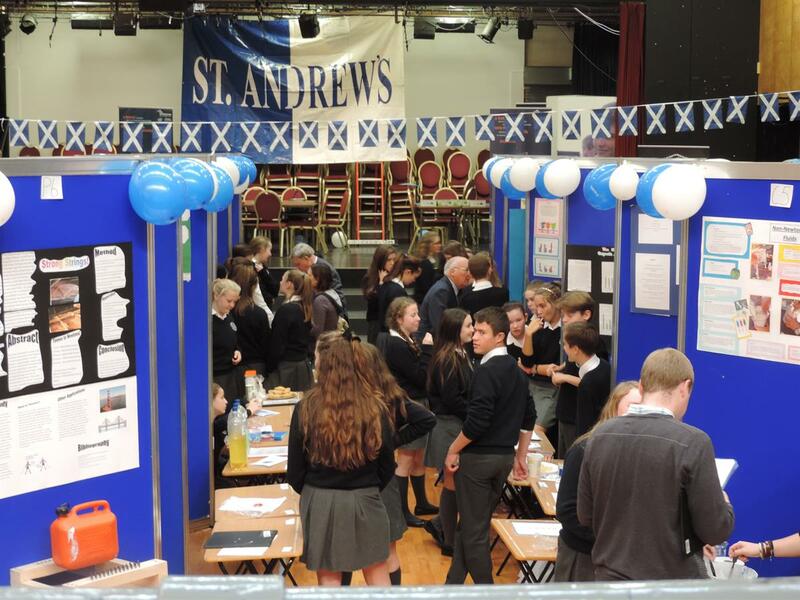 The award recognises the school’s commitment to implementing the SciFest@School programme which has been running in the school for seven years. This lecture/demonstration is targeted at Leaving Certificate Physics teachers and Transition Year teachers who are keen to gain a greater understanding of photonics and its importance in the modern world. 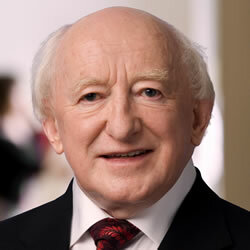 SciFest is a registered charity.